Join us in Christchurch for the 2019 NZIFST Annual Conference, 2-4 July, Christchurch Town Hall for the Performing Arts. 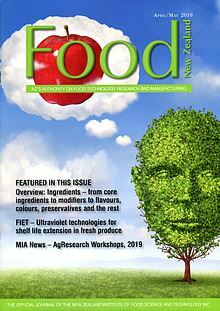 If you work in food, find out how to become a member of New Zealand's largest, most active group of food professionals. The magazine is published six times a year and is free to members of NZIFST.